Comment: Recently had new windows installed. Burglar bars were removed and not reinstalled. Just require video doorbell, sensors, and maybe outside security cams. Comment: Existing home. Safe needed for valuables and documents. Prefer safe that can secure up to four rifles, but not critical. Comment: Need security and smoke detector service for our home. Dallas Home Security Companies are rated 4.66 out of 5 based on 4,090 reviews of 80 pros. 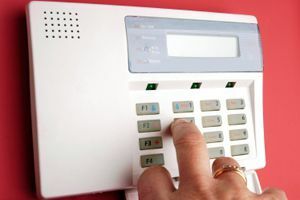 Not Looking for Home Security Services Contractors in Dallas, TX?